Established by the State of California in 1946, MHD is responsible for promoting the health and welfare of the residents of Marin County. This includes maintaining county-wide access to care through the Marin Healthcare District Health Centers and ensuring that the hospital is in seismic compliance and ready to meet the needs of residents in the event of a natural disaster. MHD serves as a strong advocate for high quality care, provides a forum to discuss health care issues that affect the communities, and provides oversight of major transactions, board appointments and the hospital’s performance goals. 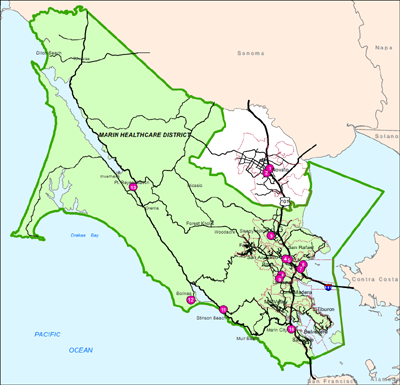 Read more about the guiding principles of the Marin Healthcare District.